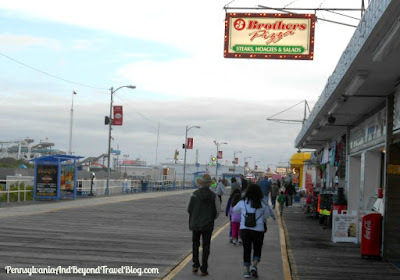 The Wildwoods Boardwalk is one of the best boardwalks in the entire state of New Jersey, at least in my opinion and I've pretty much have visited them all. One of the reasons I think this place is special is because there is something for everyone...young and old, male or female. 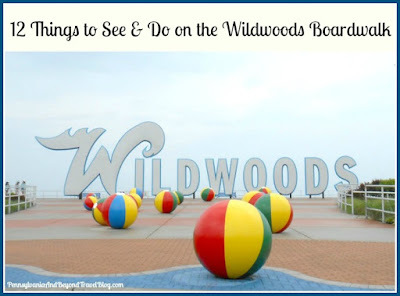 Once you've visited Wildwood once, you'll want to come back again and again. Here are 12 great things you can see and do on the Wildwoods Boardwalk. 1. 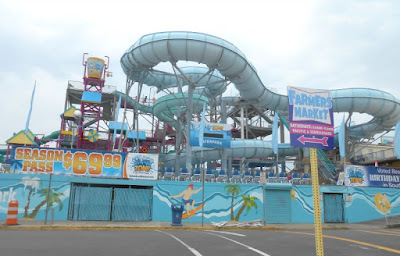 Morey's Piers - Morey's Piers has ownership of 3 different piers that are full of amusement park rides, a waterpark, carnival-style games and eateries. You'll find fun roller coasters, various rides for the adults and many rides for the kids. You can purchase tickets for each ride or buy an all-day long riding pass. 2. 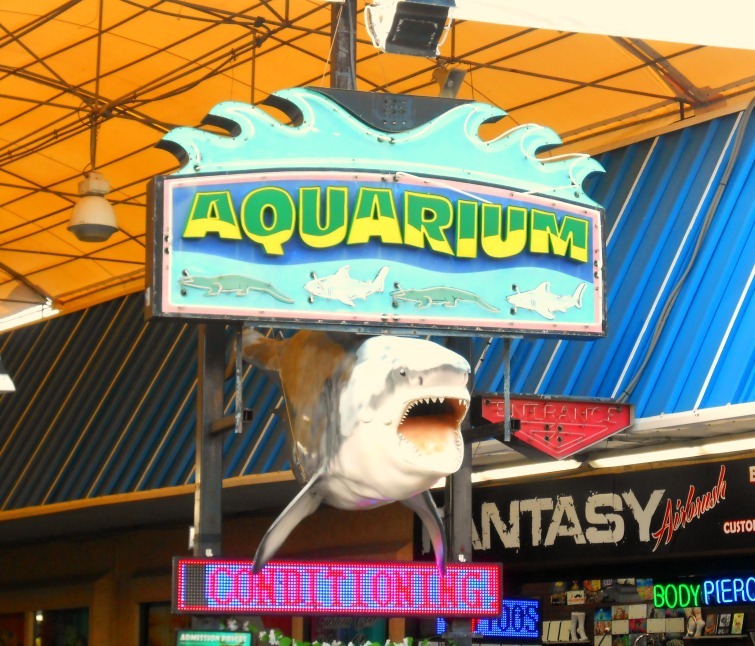 Seaport Aquarium - We visited the Seaport Aquarium and frankly, I wasn't impressed with it. With that said, it still deserves a mention on our list since other families seem to enjoy it. For the price, I expected more exhibits and a more hands-on experience, plus it wasn't the cleanest place either. 3. Dog Beach - New for the summer 2015 season is a brand new dog beach that you can enjoy with your furry best friend. You'll see signs for this on the boardwalk and you can take your dog down (must be on a leash) where he can run & play on the beach and in the Atlantic Ocean. When you see the large red fire hydrant on the beach, you'll know you're in the right place. 4. Wildwoods Convention Center - The Convention Center is located on the south end of the boardwalk. They host a wide variety of music concerts, sporting events, expo's and fairs year-round. You can find their operating schedule on their website & most times you can purchase tickets online and/or at the door (if they're not sold out). 5. Wyland Whaling Wall - If you're a fan of the artist Wyland and his ocean & sea art, you'll want to look for one of his Wyland Whaling Walls that is painted onto the side of a building called the Boardwalk Mall. Thousands of people stop by every year to grab a photo. 6. Arcades and Carnival Games - If you're a gamer or just looking to have some extra fun, you'll find hundreds of carnival-style games and indoor arcades up and down the boards. You'll find skee ball, pinball, crane machines, video games, arcade games, slot-style machines, etc. Something for everyone to enjoy. 7. Splash Zone Waterpark - If you want to get wet and have some great family fun, head on over to Splash Zone Waterpark! You can walk there via the boardwalk or drive your car and park behind it. This is the type of place that you & the family can spend an entire day at and never get bored! 8. Dragon's Lair Mini Golf - This is one of the coolest miniature golf courses in Wildwood! It's a glow-in-the-dark mini golf course that is completely indoors. It can be very dark in some places and we've seen some toddlers who weren't pleased to be there. With that said, my grandchildren love playing mini golf here. 9. Family Photo Opportunities - Looking for some vacation time picture-taking opportunities? If so, head to the north end of the boards (in North Wildwood) and you'll see this very cool wooden boat that is large enough to hold an entire family! Looking for something a little bit more beachy? 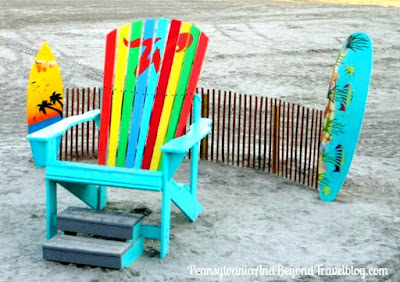 You'll find this over-sized wooden beach chair right off of the boardwalk and sitting on the beach. A really cool set-up for pictures of the kids or the entire family. 10. Sightseer Tram Car - No visit to the Wildwoods would be complete without a ride on the world famous Sightseer Tram Car! You'll pay $3.00 each way, per person, but it's a great way to get from one end to the other end of the boards to take in all of the incredible sights that you'll see along the way. 11. Old Time Photos - Feel like getting dressed up into some vintage costumes? 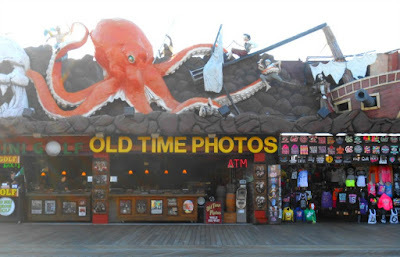 If so, how about a photography session at Old Time Photos! Couples and families love posting for these type of pictures and they're a great way to remember your summer vacation. 12. 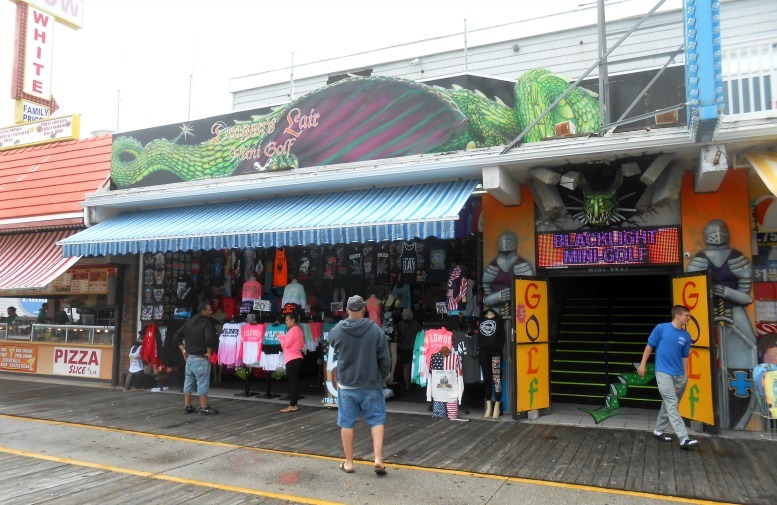 Food, Food and More Food - You'll find all kinds of places serving up some delicious food on the boardwalk! You'll find ice cream parlors, candy shops, pizza parlors, diners, fish & seafood eateries, restaurants, sub shops, soft pretzels and more! You can eat there or get take-out. You'll find hundreds of different places to eat at. 13. The Wildwoods Vietnam Memorial Wall - Sits right across the street from the Convention Center and is free to visit. If you're a fan of the military and our country, stop by the Vietnam Memorial Wall to pay your respects to some of our country's finest heroes. 14. The Doo Wop Museum - Sits right across the street from the Convention Center and is free to visit. We did give them a donation (optional) while we were there. This is an indoor museum that houses a lot of Doo Wop era items...from kitchen appliances, home decor, record albums, old bicycles, neon hotel & restaurant signs, photographs and all kinds of fun things. A great walk down memory lane! Here's a fun fact! 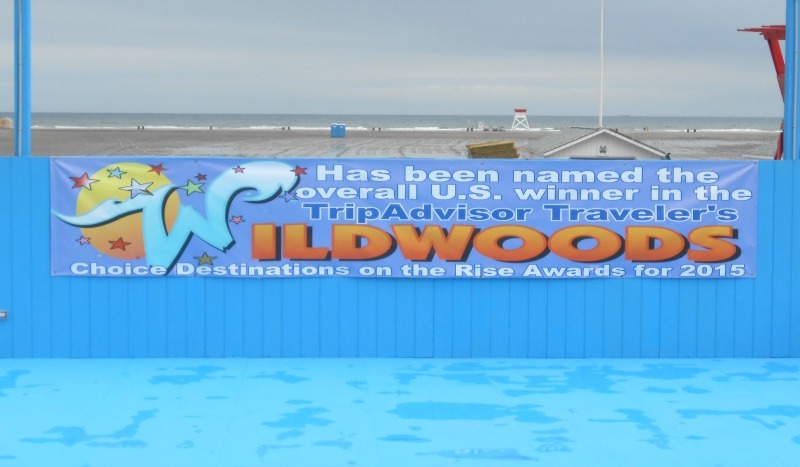 The Wildwoods has been named the overall U.S. winner in the TripAdvisor Traveler's Choice Destinations on the Rise Awards for 2015. Yeah! Congratulations, I already know how special Wildwood is! These 12 things that you can see and do on the Wildwood Boardwalk are just the tip of the iceberg! 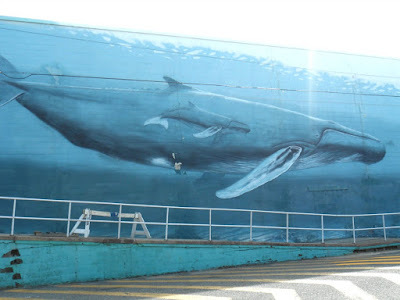 You can fund hundreds of other things there too and many of them are featured right here on our travel blog under the state of New Jersey section. 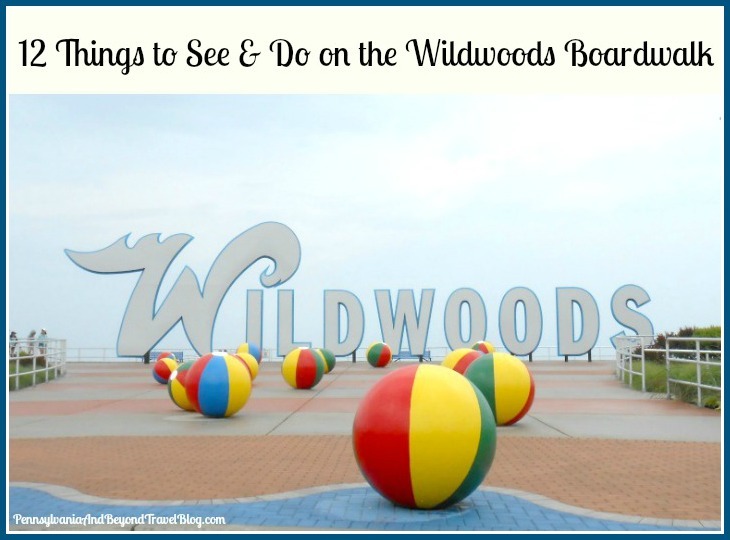 We hope you'll give Wildwood a try for your next family vacation. 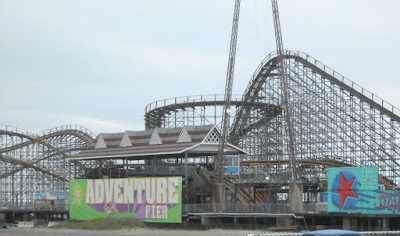 I have enjoyed y0ur posts on Morey's Piers ' attractions in the past and I am sure would enjoy them. I would love to both walk and take the tram car. I know I want to try all the food. I am not surprised that Wildwoods has been named a winner by travelers.